SULLIVAN COUNTY, NY (September 23, 2014) – The Sullivan County Prescription Drug Task Force, (a subcommittee of the Rural Health Network lead by Public Health Services), the US Department of Justice, and the Recovery Center are again partnering to announce another Drug Take Back Day to be held Saturday, September 27, 2014 at various locations throughout the County from 10 am – 2 pm, with a new location (this day only) in Wurtsboro at the New York State Police station on Rt. 209, from 10-2 pm that day. 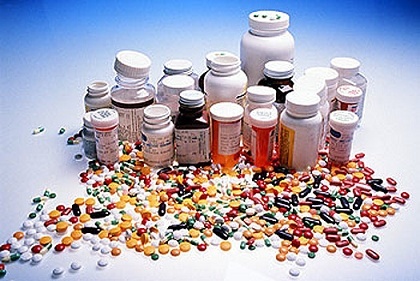 sponsored Take Back Days, and by the DEA on national Take Back Days – who transport the medications for incineration. The New York State Police Station (Troop F, Zone 1) at 6509 State Route 97, Narrowsburg, NY is the home of a fourth permanent Prescription Drug Drop Box purchased by Sullivan County Public Health Services with Rural Health Network grant funds. Residents must call ahead to the Narrowsburg location to make arrangements for drop off times to ensure an officer is on duty in Narrowsburg (252-3212 or 292-6600). Three other permanent drop boxes are located and available 24/7 at the Fallsburg Police Station, the Liberty Police Station, and the Monticello Police Station. The Sullivan County Prescription Drug Abuse Prevention Task Force, a subcommittee of the Rural Health Network, meets at Sullivan County Public Health Services to discuss ideas for prevention strategies and outreach events. For more information please call Sullivan County Public Health Services at 845 292-5910 x2222.